Although situated in the centre of the town adjacent to the main thoroughfare with its continuous bustle of traffic, a feature of the church is its quiet serenity which is contributed to in a marked degree by the subdued and peaceful atmosphere created by the many fine stained glass windows." 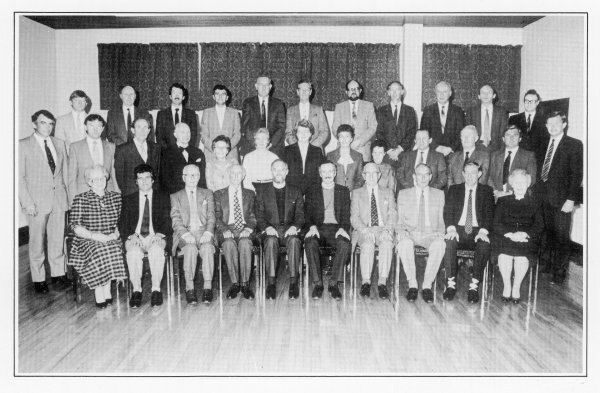 So wrote Ivan Craig in his historical work Presbyterianism in Lisburn the XVIIth Century, when referring to First Lisburn Presbyterian Church. Few, if any, of those who have worshipped in or visited this historic building since the majority of windows were installed in 1900 would question Ivan's words, certainly not those of the congregation of the early 1980's who for some years were faced with boarded-up areas where the windows had been. As with so many things in life, we had to lose what we once had before we appreciated their real value to us. The reason for their absence is fully explained in other pages. In producing a pictorial record of the original windows and of those more recently installed, we pay tribute to those who by their dedication, hard work and faith ensured that our damaged windows were restored to us in all their former glory and with so little diminution of their aesthetic value. 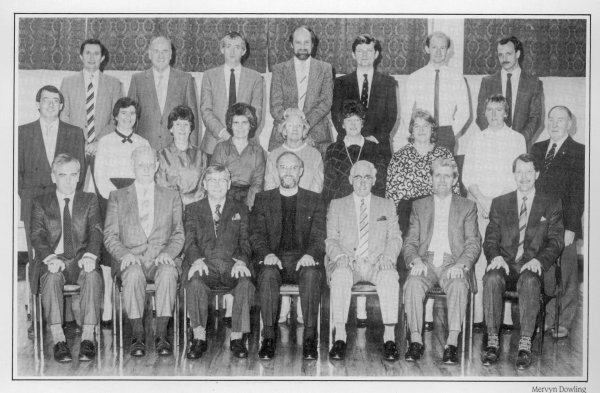 As the Tercentenary anniversary of the call to our first Minister approaches, the opportunity has been taken of' continuing that work of Ivan Craig by bringing up to date the significant events that have occurred during the fast 28 years of those three centuries, the changes to our church, to our town and to the general atmosphere in which we, the citizens of Lisburn, have lived during that period. 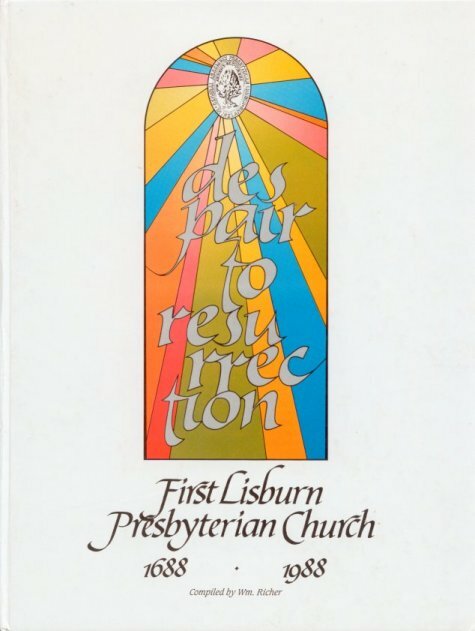 There is no specific 'story' as such, simply a number of' vignettes contributed by members of the congregation plus one by a former assistant Minister of First Lisburn, tire Rev. 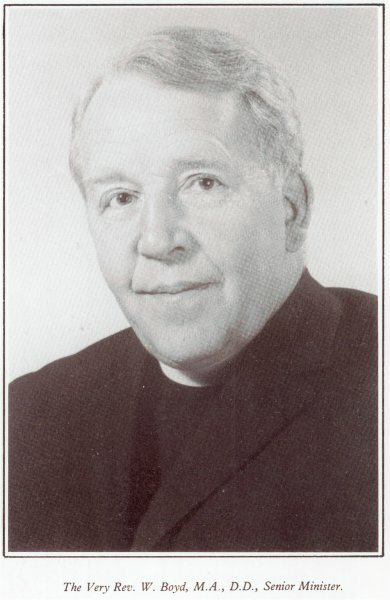 Dr. Robert N. Brown, now Head of Religious Studies at Stranmillis College. Each one writes in his or her own words on the events as they have seen and interpreted them. To those readers who were familiar with our church and town and have since moved, may this book refresh your mind with pleasant memories; to those currently in the congregation, may it increase your interest in the beauty that surrounds you as you worship and enable you to appreciate it more fully; to those who have not yet seen the beauty of the church itself, may it encourage you to visit us at First Lisburn where you will find a welcome as warm as the light which shines through our windows on a bright Summer's day. Today a special Service of Remembrance was held at Lisburn's War Memorial. It was for the victims of last Sunday's bomb at Enniskillen and their families - eleven dead, sixty-three injured as they gathered for their Remembrance Day Service. Never has there been such a united sense of outrage and sorrow throughout our Province. Will this be the turning point? Future readers of this short history will know the answer. Meanwhile it falls to us to redouble our efforts to win people for Christ and to work for peace, justice and reconciliation. Compared with Sunday's tragedy `our' bomb was relatively trivial. Nevertheless this is an account of faith, courage and perseverance of a congregation in adversity. We hope it will strengthen others in their Christian commitment. We are most indebted to Mr. Bill Richer who first proposed this book - and then found himself nominated as Editor! We could not have made a better choice. I personally want to record my gratitude to the congregation's leaders and especially to Mr. Norman G. White, our ideal Clerk of Session; my deep affection and admiration for my Senior Minister, the Very Rev. Dr. William Boyd, ever gracious, supportive and practical in both advice and help; and above all, my sense of privilege in being allowed to serve this friendly, generous and progressive congregation as its Minister. The longer I am here in Lisburn the more conscious I am of God's guiding and sustaining hand. That is why, along with my wife Margaret, I look to the future with confidence and excitement. I am glad that through the Tercentenary which you are celebrating, interest has been aroused to bring your history up to date and I commend all involved in this project. Hopefully it will also be an appropriate time to pay tribute to those pioneers of years ago without whose enthusiasm there would be no history to write. To those of bygone years we owe an incalculable debt. 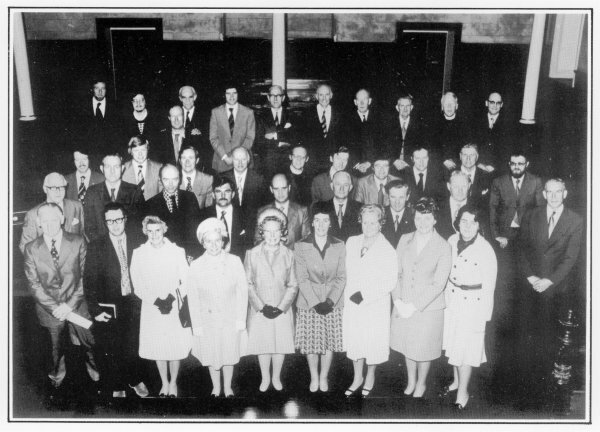 It was my happy lot to be Minister during the years 1950-1972. 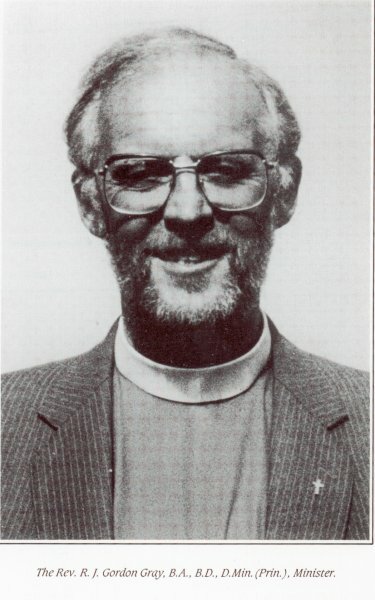 When announcing my retirement I wrote these words for the Church Magazine -and to me they are still true - "no man could have enjoyed a happier ministry, for you have not only supported and encouraged me, but through the years a wonderful group of office-bearers and leaders have sought to share the load". This I believe is still true, for the pilgrimage of which my ministry was a part must go on, and I know that my successor Dr. Gordon Gray - than whom no Senior Minister could have a more understanding and sympathetic colleague - is upheld and supported by a most active and willing band.